A Big ‘Green’ Organic Step Forward: J&J Distributing Pioneers First Certified Urban Organic Greenhouse in U.S.
Can you grow organically in a greenhouse? A lot of people say you can't, but you can. Today J&J Distributing, a produce distributor located near the State Capitol in St. Paul for almost half a century, is announcing it has achieved a couple of pioneering “firsts” for the Minnesota food industry. “We are excited to bring bold innovation to the market by building the first and largest commercial, certified organic greenhouse in the country, and the first urban certified organic indoor growing facility," owner Jim Hannigan explains. Twin Cities' co-ops and popular food retailers, as well as the Produce Exchange at the Midtown Global Market in Minneapolis, will now be able to give their customers something they never could before; year-round organic produce that absolutely locally produced even in the most frigid of Minnesota winters. 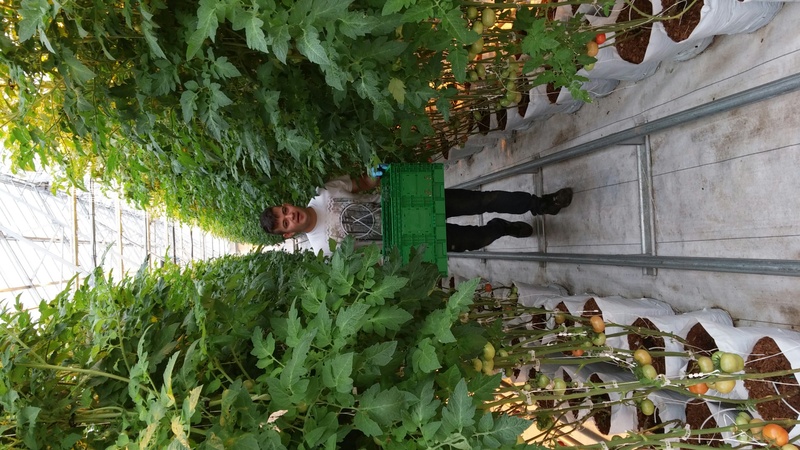 Appropriately, St. Pauli Boy tomatoes are the first crop to roll out the door this spring at this state-of-the-art greenhouse right in the middle of the city, and local customers such as Lunds & Byerlys, local coops, Kowalski’s and Jerry’s Foods are receiving some of the first shipments. The $2.4 million dollar, fully computer-automated greenhouse covers almost an acre. One of the most renowned growers in the country, Steve Schrump of Florida, has come to Minnesota to direct the cutting edge operations: raising some 28,000 tomato plants, as well looking at growing hydroponic lettuce, cucumbers, peppers, squash, zucchini, small watermelons, basil and microgreens, to name a few. The “green” nature of J&J Distributing’s new certified organic indoor growing facility continues the company’s ongoing mission to be a model steward for the environment. “We put in a water reuse system, so all of our water used to feed the tomatoes will be recycled from our warehouse to our processing facility,” Hannigan said. “That reduces our water usage from 15,000 gallons a day to approximately zero—our goal is zero.” J&J Distributing partnered with Pentair, a water industry leader to ensure there is no water footprint from the new greenhouse. J&J Distributing is a Twin Cities wholesaler which has been distributing fresh produce to local grocery stores, food cooperatives in Minnesota since 1978. Jim and Deborah Hannigan launched the company in 300 square feet with four employees. Now the company of more than 250 employees and its 110,000 square feet of refrigerated warehouse strives to be a truly “sustainable enterprise” that creates positive economic, environmental and social value. It provides fresh fruit and vegetables—including both conventional and certified organic produce—to Twin Cities customers from local growers in Minnesota and Wisconsin, as well as from growers in California to the southeastern seaboard, and around the globe. J&J Distributing also maintains the highly esteemed SQF (Safe Quality Foods) Level 2000 Certification, and is the first and the only wholesale distributor/processor in Minnesota to achieve this level of food safety. For more information, visit our website at: jjdst.com. To schedule interviews, contact media liaison Robb Leer at 612-701-0608.